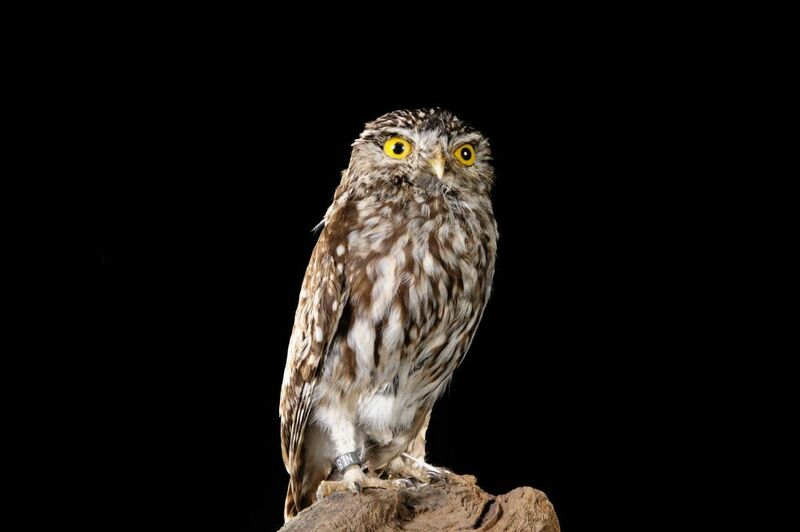 The little owl is a smaller bird than a pigeon, round and stocky. Its head is flattened with a low forehead; its eyes are yellow with white and dark eyebrows, giving it a stern look. The skull is dotted with small white spots. Its beak is yellow-green. On top of the body, the plumage is brown-gray sprinkled with lighter patches; the chest is whitish with brown stripes. The legs are covered with small white feathers and its tail is short. It feeds a lot of insects but also earthworms, small voles mammals, reptiles, lizards, songbirds, bats. They hunt during the evening some insects and during the night some voles. It sometimes hunt birds during the day, feeding the young. 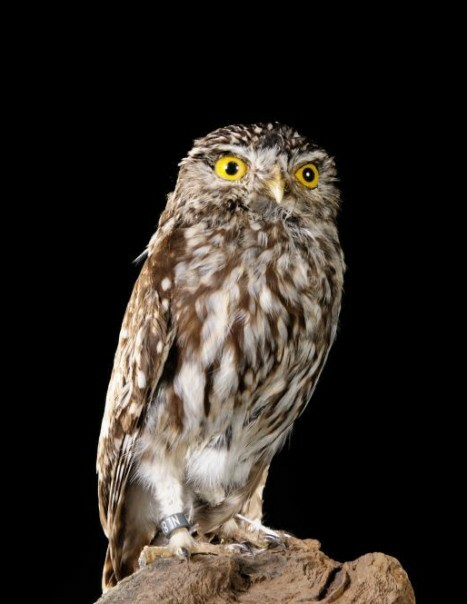 The Owl is widespread throughout Europe, with the exception of Ireland, Scandinavia and France. It evolves in cultivated areas or meadows interspersed with hedges and dislikes dense woods. It prefers old hollow trees, groves, walls with holes, the boxes provided they are in the dark. It stays faithfull to the same housing year to year. In The netherlands, it can even nest in rabbit burrows. The female lays from April to August eggs in the nest and incubates for 26 to 28 days. The chicks are born covered with a thick down and feed on insects and small vertebrates. They are able to fly and leave the nest after 28 to 35 days.